Did Trevor Noah really dump his girlfriend? Home Entertainment Trending News Did Trevor Noah really dump his girlfriend? Johannesburg - The Daily Mail is reporting that Trevor Noah has dumped his girlfriend, Dani Bagel. The publication is quoting sources as saying that the pair, who have known each other for years, decided earlier this year to call it quits. 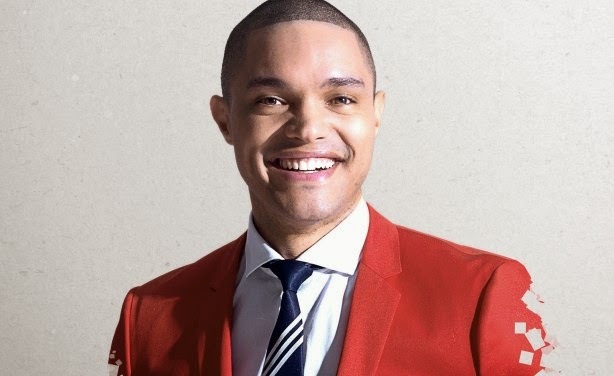 The news comes just as it was announced that Trevor would be the new host of The Daily Show, replacing Jon Stewart. But is it really true? Our sources tell us that Dani, who lives and works in Cape Town, is fiercely private and even before Trevor's massive leap to international stardom in the last few weeks, she's never appreciated being called 'Trevor's girlfriend'. In fact, when local media outlets reported on their relationship, Dani went as far as making her social media platforms private, so that journalists wouldn't simply trawl through her life and use information for stories. Dani, who would sometimes refer to being in a previously toxic relationship, was very open about her love for Trevor and friends tell us that she never saw him as the 'super-famous comedian' but rather a normal guy who she fell in love with and he just happened to be well-known. Since The Daily Show announcement however, The Juice understands that Dani has been harassed non-stop about her relationship with Trevor. "Suddenly she was thrown into the limelight and it was taken to a whole new level. People were phoning her friends, her colleagues - just about anybody who knew her to get any information about her." While our sources weren't willing to confirm whether the split was true (neither have Dani or Trevor) they did say they wouldn't be surprised if it was all a ruse to get the media off their back. "It's been intense. Trevor is away a lot and they've managed to make it work. But all of this extra attention has not been easy," says our source. "Those close to her are literally reading articles filled with lies and quotes from so called 'friends' and it's a shock to the system." In the past 48 hours, Dani has removed many of her pictures from social media, not only with Trevor but also with friends and colleagues.